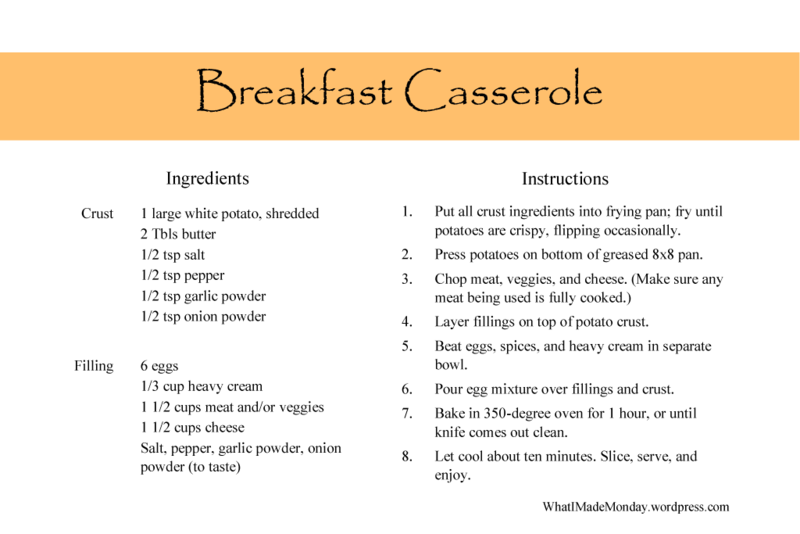 The smell of the casserole made me think of the holiday season. Quiche was always my family’s traditional Thanksgiving breakfast. We’d wait with anticipation for the amazingness that awaited us Thanksgiving morning. After a long morning of food preparation, family bonding, and just a general good time, of course. Outside, clouds covered the sky in a beautiful blanket of white fluffiness. Which of course made me think of snow, which made me think about Christmas even more. Then I thought, what more perfect way to add to this happy feeling than to have hot chocolate as well. 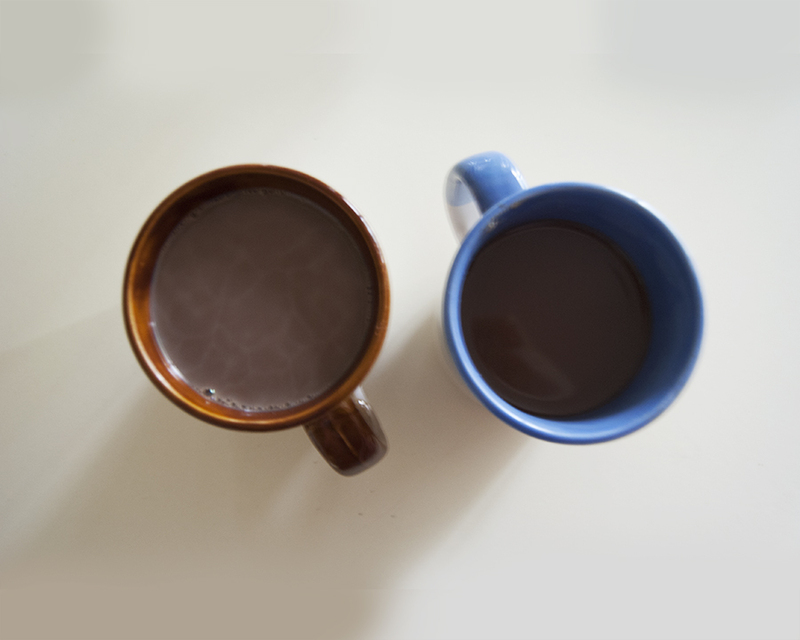 So I quickly made some up for my husband and I.
I just use the hot chocolate recipe on the back of a container or something like that. I’ve been making it so long now that I don’t fully remember where it came from. It’s so simple. Just about a Tablespoon of powdered cocoa, a spoon or two of sugar, and a dash of vanilla. Fill the mug about 3/4 of the way full with steaming hot water, then add milk (or even eggnog) the rest of the way. As I listened to the music, sugar cookies started to sound absolutely amazing. Being gluten-free, it’s been awhile since I’ve had sugar cookies. This year I want to change all that. In my family, Christmas was (and still is) a big deal; full of food and music, movies and good memories. 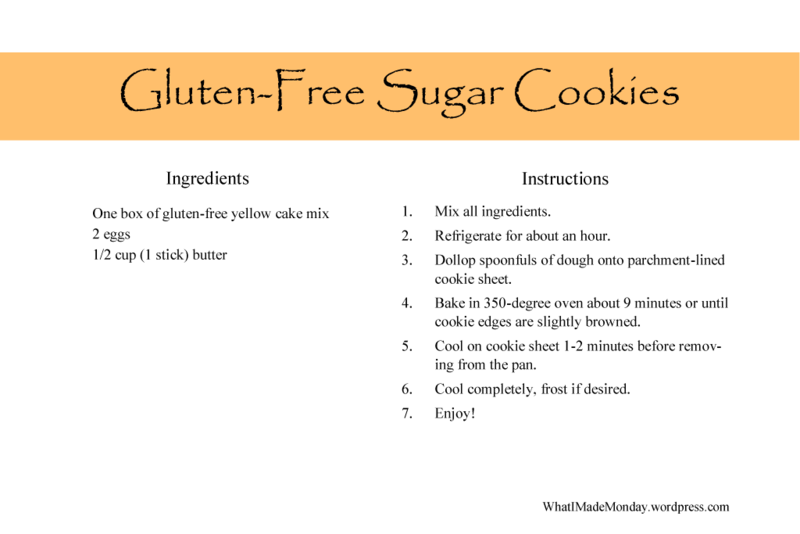 We’d go all out on cookies in particular, and last year I modified some of our recipes to be gluten-free, but I didn’t do all of them. As it gets closer and I start really getting into Christmas baking, I’ll share some of those with you as well. This year I also want to try candy-making, as it’s something I’ve only barely dabbled in before. Okay, enough of that. 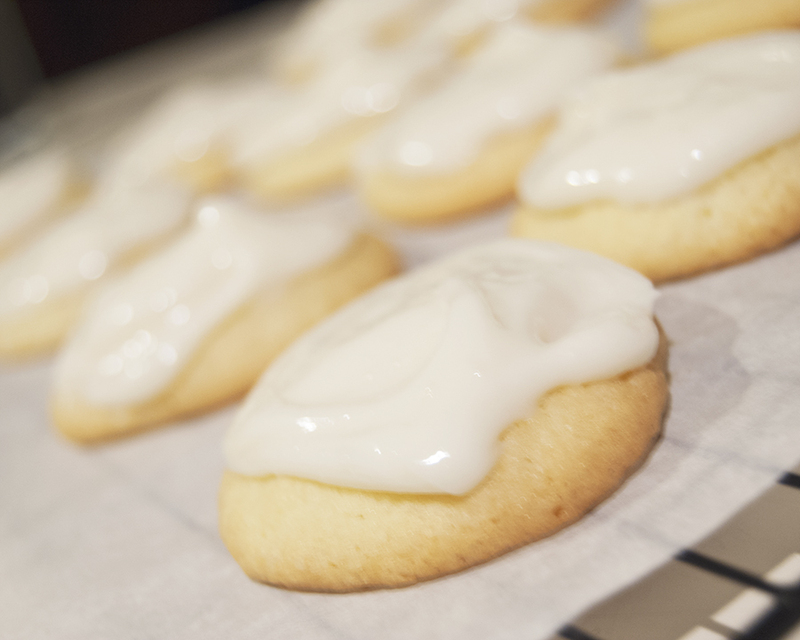 I was on a mission to find the perfect gluten-free sugar cookies. I’m not the best at baking when I deviate from recipes as you can tell from this post… But I’m working on it and getting better. So it’s only a matter of time! Which is a really exciting thought! Anyway, I didn’t have much gluten-free flour, but I had a cake mix, so I decided to try to find a recipe that would include that. I found more of them than I was expecting, but they were all pretty much the same, so I have my own recipe card for that as well (I did change them slightly, otherwise I would just link to one of the many posts). I made a cream cheese icing for them with cream cheese, milk, vanilla, and powdered sugar. I have no idea what the measurements would be for that, so I don’t have that recipe for you. But you could try it yourself! Have you noticed that stores are beginning to put their Christmas stuff out? How do you feel about it, are you excited to start the season, or feel that it’s too soon?